The Senate was informed Friday that only eight per cent of the people between the age of 17 and 23 years have access to higher education compared to 26 per cent in South Asia and 43 per cent in Germany. Minister of State for Education Baleegur Rehman said the top priority of the government is provision of higher education and for this purpose the budget of HEC has been increased to Rs 70 billion. 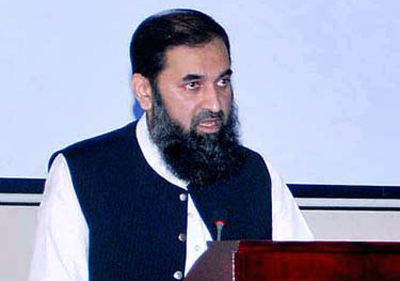 He said during the last five years 698 students from Khyber Pakhtunkhwa were sent abroad on scholarship. He said there is a fixed criterion based on which students are selected for scholarships abroad. He said students from Balochistan could not fulfil the criteria and as a result it was relaxed for them. He said 23 girls were among those who were sent abroad for education from Balochistan. He said in view of the priority being given to higher education, the present government increased the scholarships and enhanced the allocations to Rs 6 billion while allocations for Research and Development have been raised to Rs 20 billion. To another question, the Minister of State for education said the number of PhDs has crossed 10,000. He said the National Vocational and Training Commission has launched a number of activities and registered 500,000 people for giving them training. Essay writing is a very important performance. Everybody can't write quality essay. It is really very important work to write a quality essay. That's why http://www.essayheaven.org/ start a hot essay writing service. I have been looking for after around down this kind of information.thank you, I like it.great tool.thanks a tremendous strategy! Tanks for the good post. Its really happen to third world country so we should more careful about this. In this era education is must for public so anyone can go there best write my essay quality and know many interesting things about education. In our country more youth have access to a higher education but it is very bad.